A week ago last Sunday, I let go of my regular day-to-day life and journeyed down to the shore again. 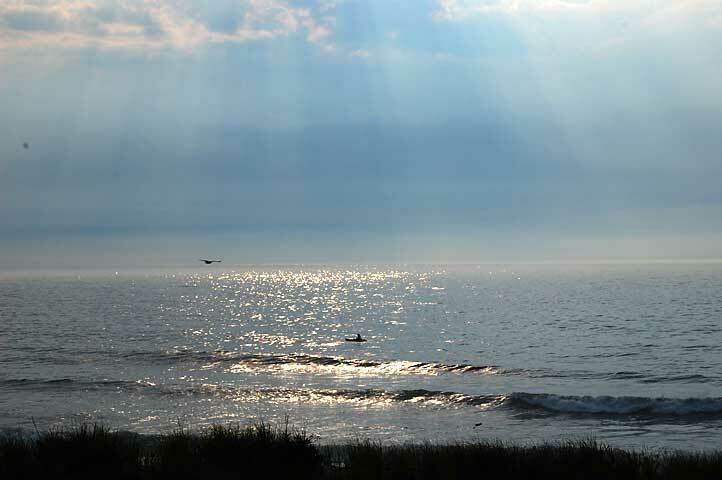 Once I exited the Garden State Parkway, I opened my car windows wide to welcome the ocean breeze that greeted me as I got closer to the sea. As I turned down the road that would lead me to the beach, I felt all of the tension melt away as I inhaled the cool salty air. Once again, I was taken back to my origins and my inner self as I experienced a week of just “Being”. Even though I had the perfect opportunity to sleep in, I rose every morning around 6am and had my tea out on the balcony. I listened to the songbirds greet the day and watched the terns and gulls as they wheeled across the sky. Constant was the gentle roar of the surf, a sound that spoke to the deepest parts of me as I watched the waves rise and fall. I walked the beach every morning for about an hour before the beachgoers started to stake their claim on the sand. I passed fishermen sitting patiently next to their rows of poles and wide-eyed small children splash and dart at the water’s edge. 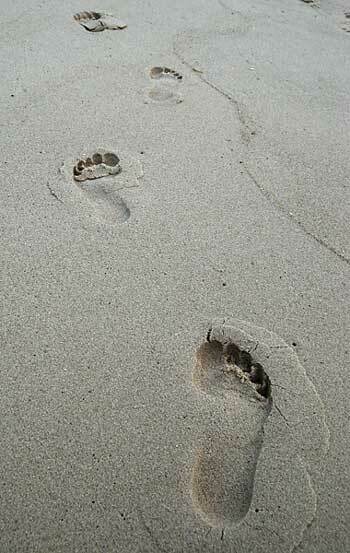 I felt such a sense of calm envelop me as I placed one foot in front of the other and moved along the beach. As Eckhardt Tolle suggests in his books “A New Earth” and “The Power of Now”, I emptied my mind as best I could and immersed myself completely in that moment. It was challenging at first because my mind wanted to think about all of the issues in my life and what was going on. I pushed past those thoughts and kept bringing myself back to the feel of my feet against the sand and the rhythm of my breathing. I came to understand what Thich Nhat Hanh refers to when he suggests “walking meditation” as a good way to connect with yourself. Not only was I able to connect with myself but I also felt connected to everything else. This gave me such a great comfort. 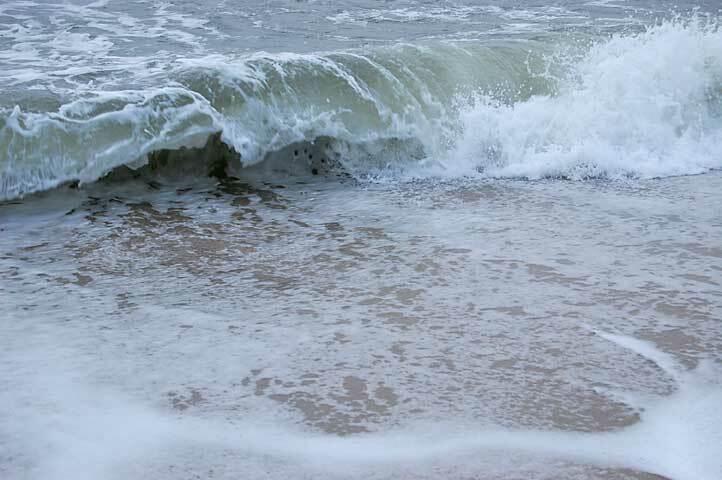 I’m fascinated by waves and always have been since I was very young. There is something magical about the way they are created , how they rise and peak and then crash onto the shore. Studying the movement of waves has taught me of life cycles – gestation and birth: the rising up and creation of the wave, the period of a life: the wave at its full height and crest, and death: the falling down to earth and dissolution. The wave is absorbed back into the water to create another wave and this cycle keeps repeating itself. Just like our lives. 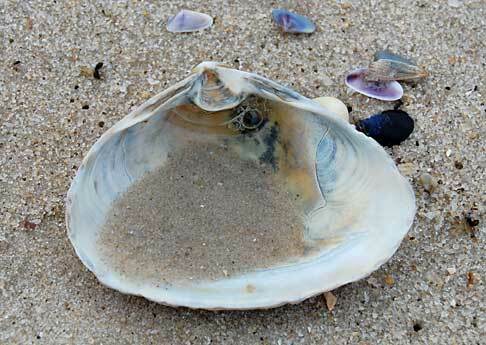 This entry was posted in Beauty, Inspiration, Journaling, Life Musings, Nature, Photography, Travel, Uncategorized and tagged eckhardt tolle, Jersey Shore, Thich Nhat Hanh, vacation, walking meditation, walking on the beach. Those are pretty heavy meditations for the Jersey shore, but quite interesting. http://www.bentpage.wordpress.com. Glad you had a great time, Karen ! Isn’t the sound of the waves breaking on the shore wonderful ? Thanks Nick for your positive feedback and your interest. I’ll give that some consideration. Thanks Dora! It’s one of my favorite sounds. You’re so blessed to live right by the beach. Karen.. beautiful post and pictures. You have a gift for writing. Take greenidesign’s offer and enter your pictures… they are worth it. Although sleeping late is nice once in a while, getting up and squeezing every moment out of the day is better, especially by the ocean. Aren’t quiet beaches the best? We always do our beachgoing either in the off-season, or at off times of the day. Glad you had a nice time. Beautiful photos! Karen – thanks for a breath of fresh air – for a moment I was transported! Great photos! Oh yes Lisa, the beach in the early morning hours is such a special magical place. I love it. Thanks! You’re welcome Janice! Thanks for your kind feedback about my photos! My God those photos are living!